Pretty much all of my nail art comes from the sponging technique, and there's nothing wrong with that, it's really simple to do and the results can be quite special, but I feel as though I've taken that as far as it can go. I needed something new. And this where Stamping comes in. Stamping is perfect for people who love nail art, but can't draw! 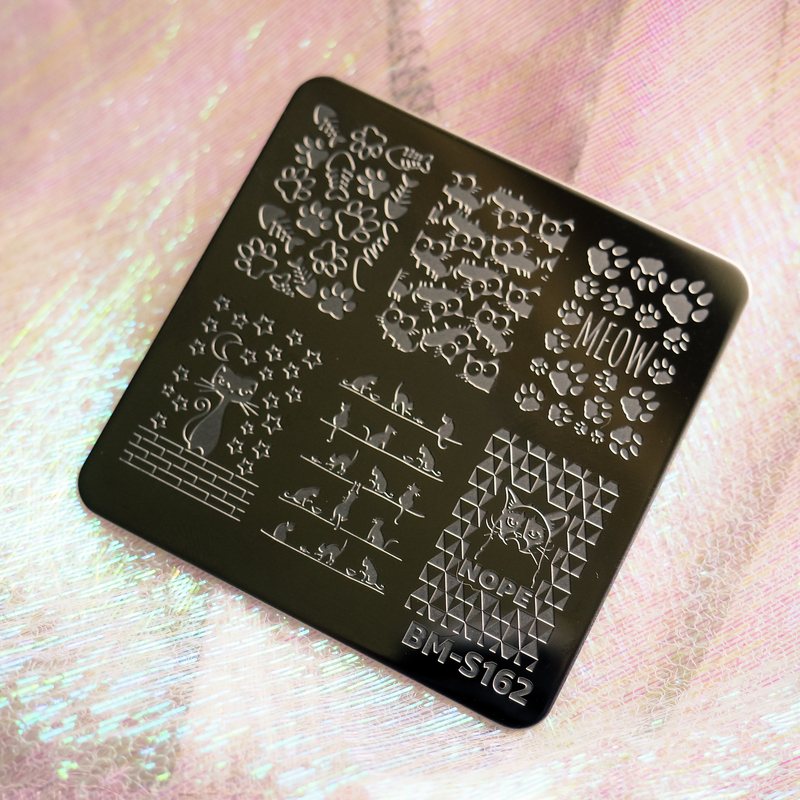 If you have no idea what stamping is, basically some nail art designs are etched into a metal plate. 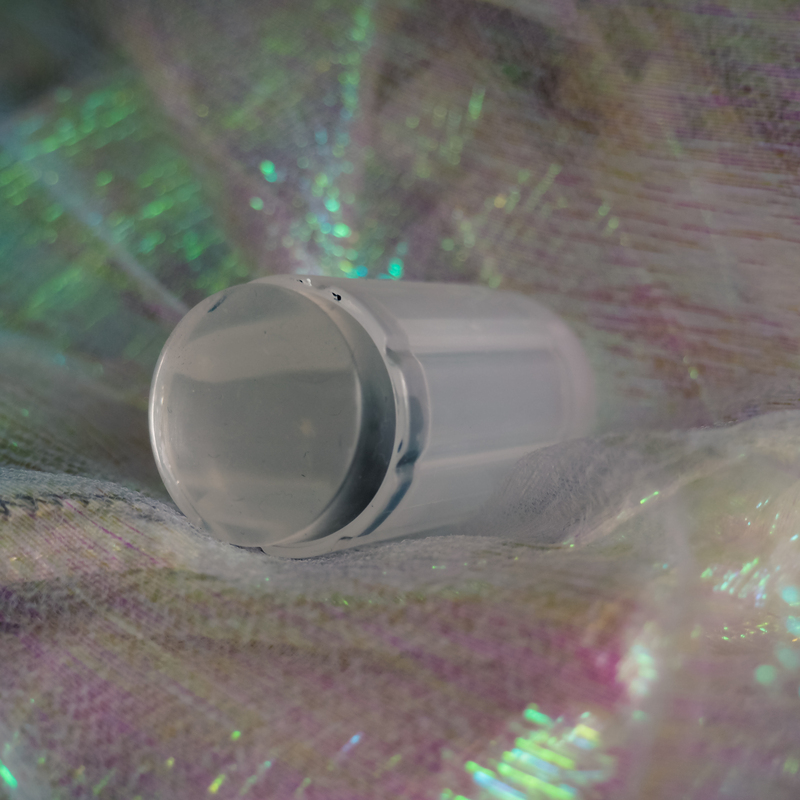 You apply nail polish over the design you want, scrape the excess off with a scraper, pick up the filled in design with a rubbery nail stamper and then stamp it to the nail. It's a bit fiddly at first, but once you get used to, it applies like a dream. From what I've seen, stamping isn't exactly mainstream in the UK just yet - you won't find much in Boots or Superdrug. Things like nail wraps seem to be more popular at the moment, but I cannot for the life of me see why. They're so awkward and never fit your nail so the excess needs to be cut off with tiny scissors, and you need to line it all up perfectly etc. With stamping, it doesn't matter what size nails you have at all, and you don't need scissors - I promise! For my Nail Stamping purposes, I went and bought a Nail Stamper from MoYou costing around £7. Honestly, I hated it. I mean really, really hated it. It was a double-ended Stamper, with one end for smaller, detailed designs and the other end to pick up larger ones. Every time I'd try to pick up a design from the stamping plates or actually stamp it on to the nails, the other end would pop out because of the pressure! It got a bit irritating. Not only that, it's an opaque stamp, so you can't actually see where on your nail the stamp is going to end up! Instead, I bought a transparent one from eBay for less than £2. It took an age to arrive from China, but my was it worth it. Nowhere near as irritating as the MoYou one, and I could see exactly where each design was going to end up on the nail. Perfect. As for the stamping plates, I bought all mine from an American brand called Bundle Monster. They have a huge selection to choose from, it can actually feel a bit overwhelming how much choice you have! It took a little while for them to arrive as my parcel was stuck at customs and I needed to pay a hefty customs charge of £18. EIGHTEEN POUNDS?! Even the Royal Mail dude said "You've been burned!" and promptly slagged off customs for about 5 minutes. That aside, the plates actually look pretty stunning. 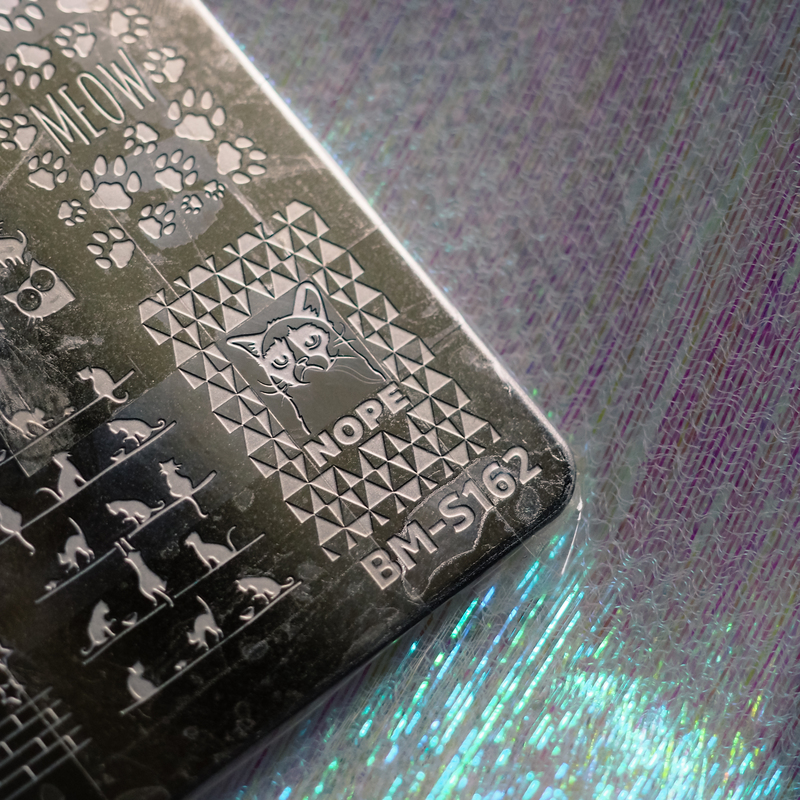 They're just thin pieces of flat, reflective metal with the designs etched into them, and they arrive with a blue protective sticker to keep them scratch free in transit. 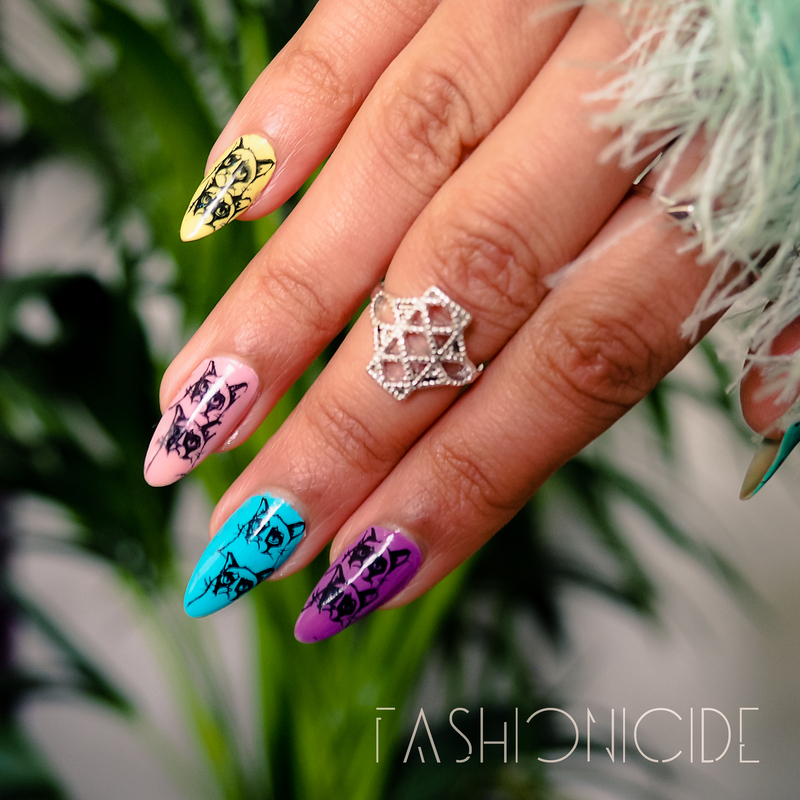 If you check out my Instagram you can see a Mermaid and Unicorn designs I stamped onto the nail. All you need to do now is pick the winning design, paint over it with a nail polish of your choice, scrape off the excess and dab your Stamp onto it. Next, you line up the nail you wish to be stamped, and press the stamp down onto the nail using a left-to-right motion. It's that simple! For this post, I thought what better way to show off the technique than with Grumpy Cat! First off, I painted my nails and let them dry before doing any stamping. As you can see in the photo of the stamping plates, the design looks different to what actually ended up on my nails. That's because I tried out the whole design at first, and I just thought "NOPE"
So with a little ingenuity, I got out some sellotape and covered up the bits of the design on the plate that looked a bit naff. When I apply the nail polish to the design, only the bits that I wanted to appear on the nails were covered - only Grumpy Cat herself would be stamped onto the nail! Also, I locked in the stamped designs afterwards by applying some topcoat. A tip for you though, wait for the stamped design to dry fully, otherwise it will 'pull' the design and give it a bit of a streaky look. I hope you enjoyed my first foray into nail stamping as much as I did, no doubt I'll be trying out a few more designs in the near future, and if you know of any places to buy some epic stamping plates in the UK, let me know! I have never seen nail stamps like that before. They are such a good idea and so effective! I have recently just started to grow my nails because I wanted to do the nail art including stamping. I have a long list of items in my Amazon basket ready to purchase when my nails are long enough! I love the grumpy cat you have used, it looks awesome! Nail stamping is piss easy! Looking forward to seeing your nail art! Snap girl, SNAP. Eeek, I really hope you do! Look forward to seeing grumpy cat on your nails! These are brilliant! I've been so skeptical of nail stamping in the past, but yours look wonderful. Definitely need to give it a go. I need these plates, iv a moyou nail set and the stamper drives me nutty, clearly need a transparent one. I think there's some UK ones now. It'd be nice to add some fun!